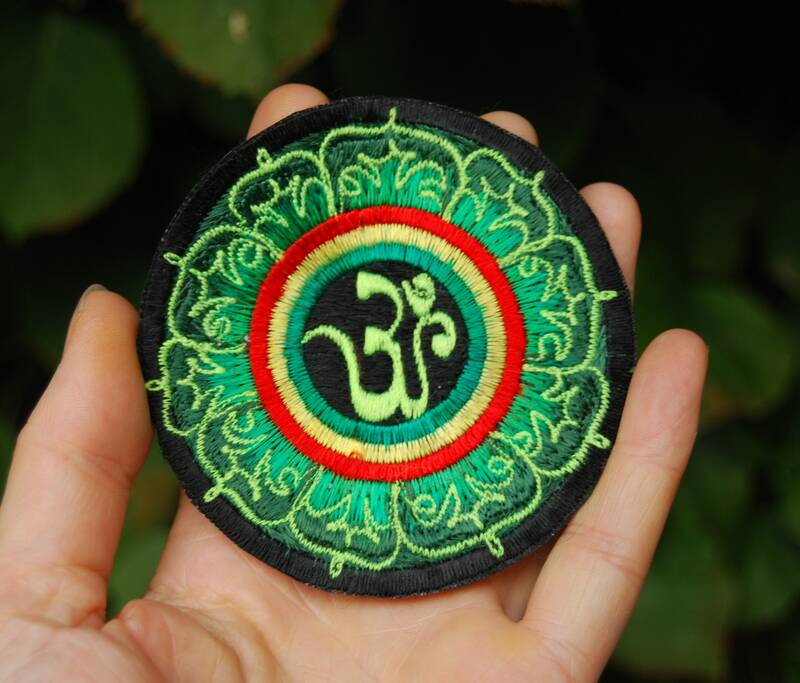 This is a embroidered patch that you can sew on to any garment. 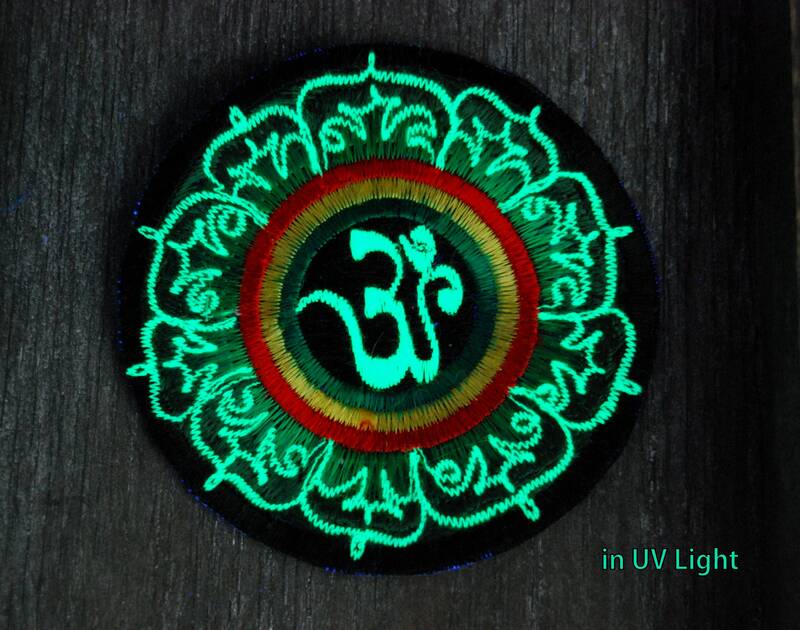 It has a depiction of an AUM symbol. The yellow glows in uv blacklight. Measures approx. 3.34" / 8.5 cm. Looks awesome in any kind of light. 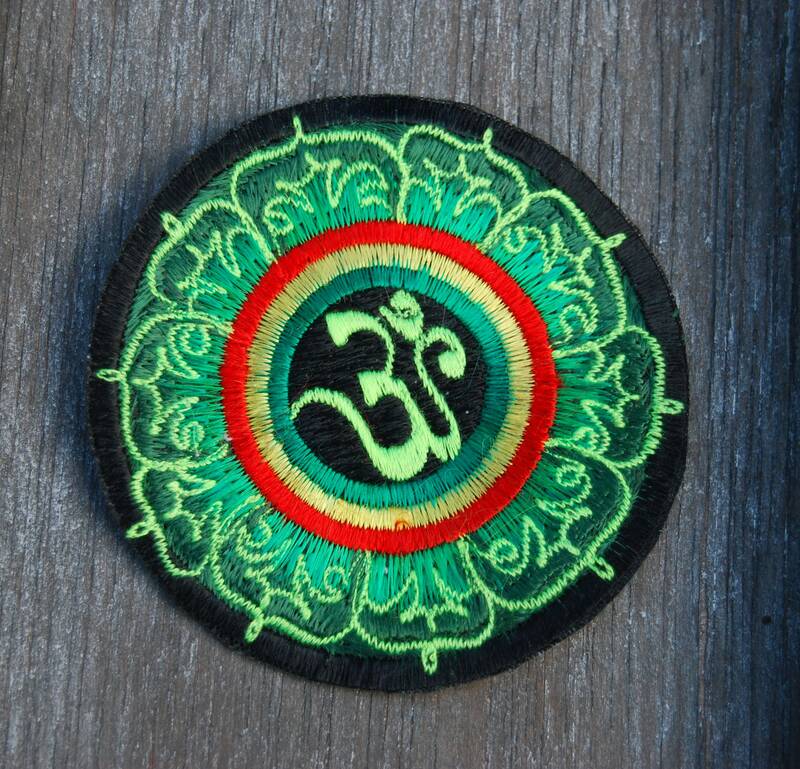 One of the best looking AUM patches I've seen.